South Pacific Luxury Yacht Charters - CKIM Group Inc.
Picture white sand beaches, sun-filled days, scuba diving in warm tropical waters and spectacular sunsets. 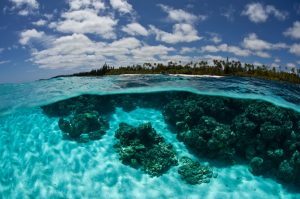 South Pacific luxury yacht charters bring you all this and more. Boasting vibrant culture, delicious food and over 7,500 idyllic and intriguing islands, the South Pacific is so much more than just a palm-fringed paradise. 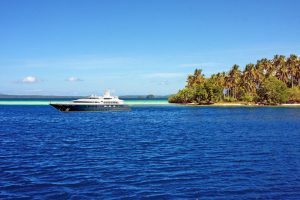 From volcano-dominated wildernesses to wave-lapped shores to small humps of sand barely peaking above the waterline, there is so much to explore on a South Pacific luxury yacht charters vacation. 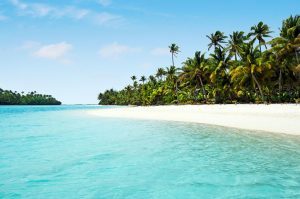 The South Pacific is far less commercialized and crowded than other popular sailing destinations, and on a private yacht charter, you will have the opportunity to escape to islands that haven’t seen a tourist in years. You’ll discover a dazzling array of spectacular countries that combine desert-island fantasies with a dose of adventure. The South Pacific is known for its diverse customs and cultures. The hospitality and friendliness of the islanders are legendary, and virtually all are happy to share their customs, traditions, and beliefs. The fascination cultural melting pot of the South Pacific offers you 7 main sailing regions. All are spectacular, all are memorable, and all are within your reach! The most popular charter destination in Australia is the Whitsunday Islands which lie on the sun-drenched coast of North Queensland. This wonderful cruising ground consists of 74 islands lying protected from the outer ocean by the world’s largest coral reef system, the spectacular Great Barrier Reef. Walk across pure white sands, sail over turquoise waters, see ancient rock art, rugged headlands, dry rainforest, rolling grasslands and experience the breathtaking views. 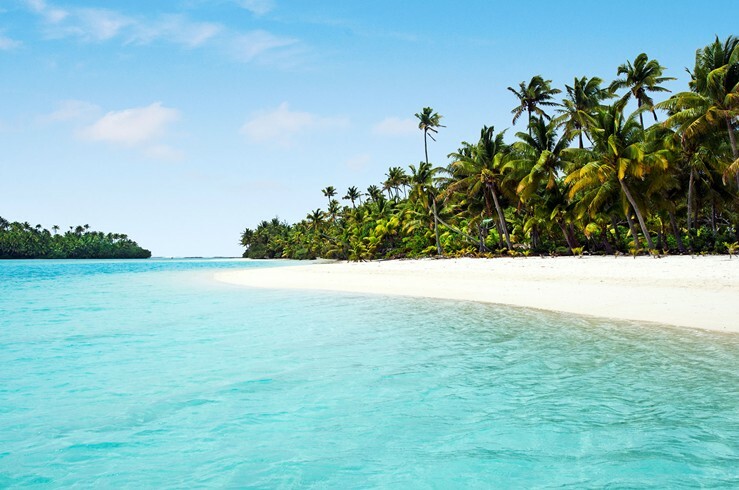 The fifteen small landmasses that make up the Cook Islands capture visitors’ spirits with their turquoise sparkling lagoons, white sand beaches and tropical, lush scenery. The isles are a mixture of coral atolls and volcanic islands, and each offers something unique to the paradise-seeking traveler. Indulge in the beat of the native music and Pacific food, and explore the indigenous vegetation and crystal blue waters. Head to Fiji for remote beaches and fabulous diving. With more than 300 isles, cozy seclusion shouldn’t be hard to find. See spectacular soft corals at dive sites like Beqa Lagoon and the Somosomo Strait, where you might spot a shark. What do green valleys, stunning waterfalls, vast plains, lush forests, sandy beaches and a downtown with a French Riviera-like vibe share in common? Each characteristic can be found on the diverse island of New Caledonia. This destination is the go-to spot for nature, with thousands of varieties of plants and animal species. Embrace the island life at this tropical and multicultural French destination. 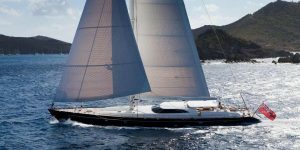 New Zealand is a truly unique yacht charter destination offering sparkling island-studded bays, cobalt blue seas, fishing or scuba diving opportunities, wonderful wildlife, and charming coastal towns immersed in history. With over 76 islands to explore, and over 200 sheltered anchorages, and miles of beautiful coastline all the way north to the Bay of Islands. The Solomon Islands, an archipelago of nearly 1,000 South Pacific islands, offers as much to see below the sea as there is above it. Divers may encounter octopuses, mantas, and sharks as they explore waters ripe with unspoiled coral reefs and WWII wrecks, some still littered with ammunition and machinery. Back on land, you can visit traditional villages, dormant volcanoes, WWII battlefields and the botanical gardens of Honiara, the capital. Tahiti – the word evokes visions of an island paradise. With 118 islands boasting high, rugged mountain peaks, coral reefs, turquoise-blue lagoons, white sand, and palm-fringed beaches, each island paradise has something for everyone. Bora Bora, Moorea, Huahine, Taha’a, Raiatea, Manihi, Tikehau, Rangiroa, Fakarava, The Marquesas and other exquisite Islands of Tahiti cover more than two million square miles of the South Pacific Ocean. 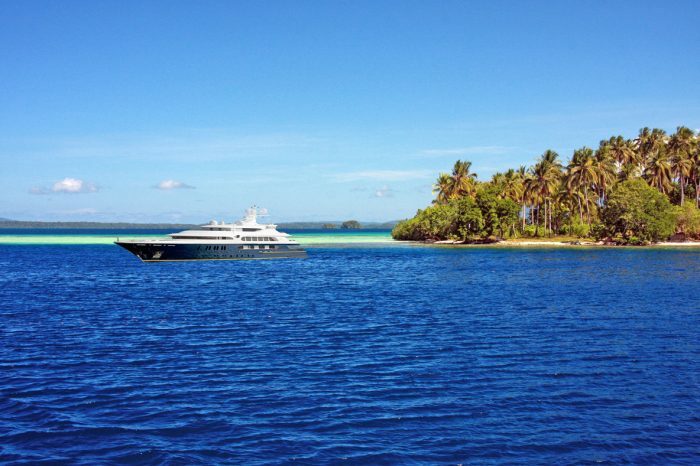 CONTACT US today at (321) 777-1707 to discover your South Pacific yacht charters vacation!